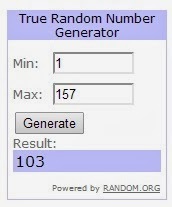 The winner of the Kitchen Stitches book is . . . .
Who just happens to be . . .
congrats to Josie! I won an e-book copy on Martingales blog! Its a GREAT Valentines gift! Thanks so much!